Detroit’s Trumbull House, a home built in 1897 and located at 4304 Trumbull in the Woodbridge neighborhood, has been transformed into one- and two-bedroom condominiums that are available for sale. Features include modern kitchens and bathrooms, stainless steel appliances, original brick fireplaces, turret windows, open floorplans, master suites, custom herringbone oversized subway tile, quartz countertops, brushed gold light fixtures, matte black plumbing fixtures, Nest thermostats, in-unit washers and dryers, and a gated parking lot. 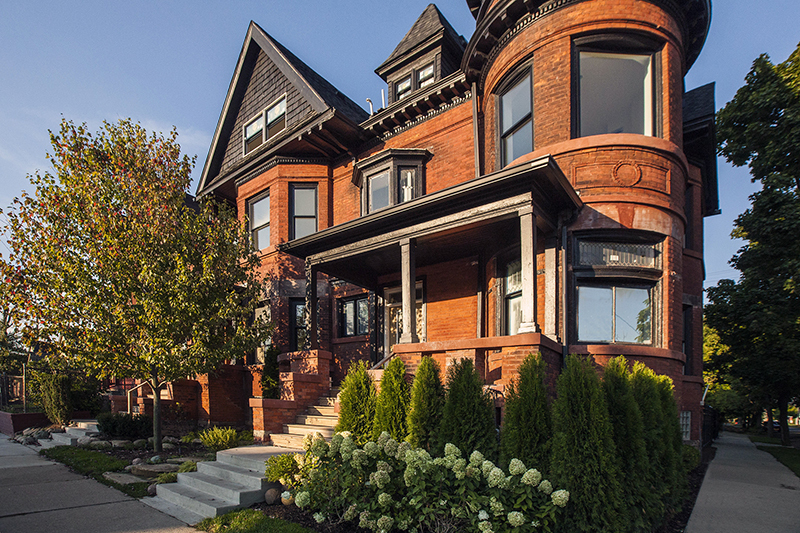 The Woodbridge neighborhood offers tree-lined streets, and the condominiums are close to the Detroit Public Library, MotorCity Casino, Wayne State University, and the Detroit Institute of Arts, as well as restaurants, parks, and shops. More information, photos, and floorplans can be found here.